Are you supporting someone in the Military? If you are, these Silicone Support Bracelets are a MUST HAVE! A fun and trendy accessory to show love and support for your MILSO! 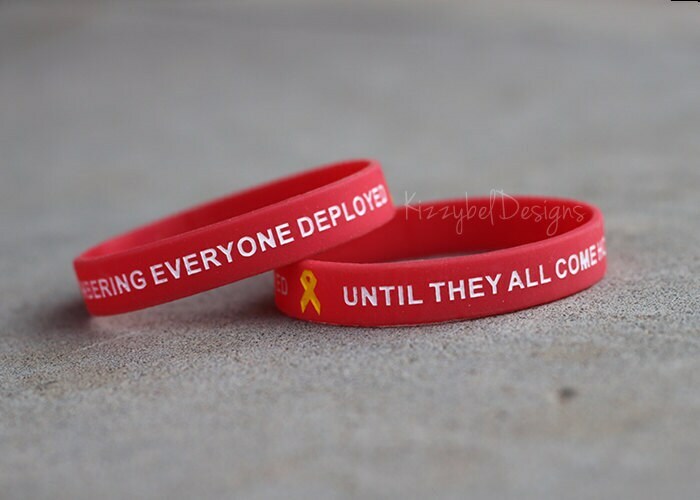 Silicone Support Bracelet - Remembering Everyone Deployed Until They All Come Home. Listing is for one (1) bracelet in size 7 inches. love it! great turn around time!